Imagine a world where the Beatles continue to make music well into the 80s and 90s and work to change the world for the better - together - until they were old men. Thanks Greg for tweeting about this. It made me way too emotional for a Wednesday morning. But I loved it! The episode [where the Beatles appear] is the highest rated episode of The Muppet Show in the show’s history and the most watched television program of the entire year, beating even the news coverage of the 1980 American presidential election. 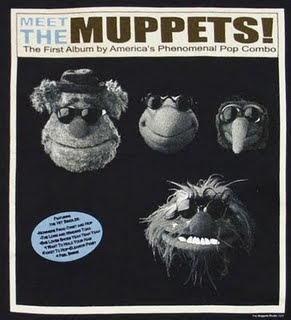 The undisputed highlight of the episode is the “battle of the bands” between the Beatles and the Electric Mayhem (although Starr says his duet with Fozzie the Bear remains his personal favorite moment). Jim Henson would later say that the Beatles episode “rejuvenated” his joy in working on the show, which by that point he had begun to feel was growing stale: the show continues for another seven seasons.